The Dorset County Council in England appears to have begun the process of seeking a supplier for the future Phase 4 contract of their Superfast Dorset project, which hopes to extend the coverage of “superfast broadband” (30Mbps+) ISP networks to an additional 4,000 to 20,000 homes and businesses. At present the existing state aid supported programme has already extended “superfast fibre broadband” (using the original definition of 24Mbps+) services to cover 96% of the county (an additional 83,633 properties), which has been achieved by working with Openreach (BT) to grow the reach of their Fibre-to-the-Cabinet (FTTC / VDSL2) network and a little Fibre-to-the-Premises (FTTP). The current roll-out is on-going and thousands more premises are expected to benefit by summer 2019, which it’s hoped could push the local coverage to around 97%+. However the council wants to get “as close as practicably possible” to 100% coverage and a new procurement document for Phase 4 offers some hints about what we can expect. Overall it’s estimated that between £6m to £11m of public funding could be available to the new contract, which would come via a mix of potential sources including gainshare (i.e. public money returned by BT for reinvestment in later phases due to strong local take-up), underspend on existing contracts and the Rural Broadband Infrastructure Scheme (RBIS). The new contract will be let in LOTS, although exact details won’t be decided until after the council has had a chance to engage with potential suppliers. 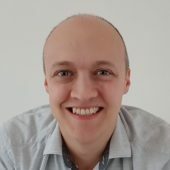 A number of related meetings with potential suppliers are due to take place through this month, as well as possibly early January 2019 (depending on responses). At this stage the Prior Information Notice (PIM) doesn’t specify any particular technology and merely seeks creative/innovative solutions, which could be harnessed to cover between 4,000 to 20,000 additional premises. We expect that virtually all of these will be in remote rural areas (these are usually much slower and more expensive to tackle). As part of this the local authority will also need to run a new Open Market Review (OMR) in January 2019, which will enable them to see how far existing networks are expected to reach and thus where Phase 4 will need to direct its focus. At this point we note that the term “ultrafast broadband” gets a specific mention, which suggests that the council might be looking to favour solutions that can deliver speeds of 100Mbps+. 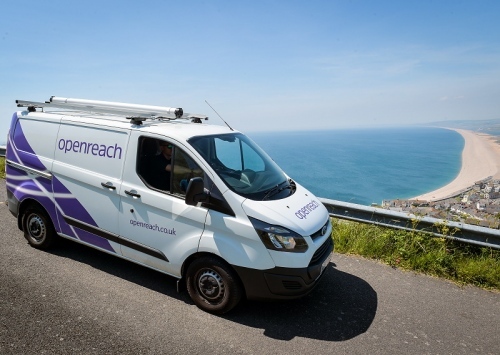 This could be similar to their last £7.4m contract with Openreach (BT), which is currently extending FTTP broadband out to 3,800 extra premises (here).